Witchsy.com is not an ordinary project. 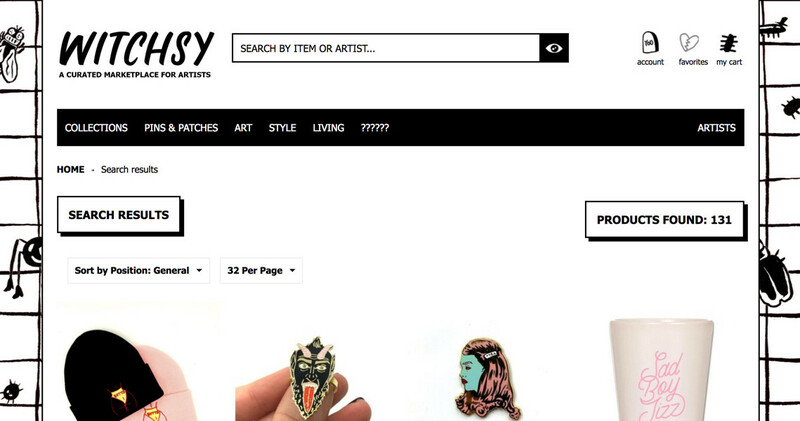 It aims to gather artists and goods that are balancing on the verge of insanity. Stunning, shocking and sometimes almost crazy. You will never find anything like Witchsy offers anywhere else. It is a growing marketplace of expressions. No matter how creative you are, the right target audience is the key to your business success in ecommerce. Even if you launch sales of your bold screaming ideas, that does not mean you become more distant to customers. On the contrary, you find more and more like-minded people and become closer to them. That was our challenge—to make a functional business environment for eccentric art lovers with strong communicative functionality. On Witchsy, we have managed to bring logic and expressions together. Expressions are products. And products need to be found easily. So we’ve modified the search performance. Products also need promotion. 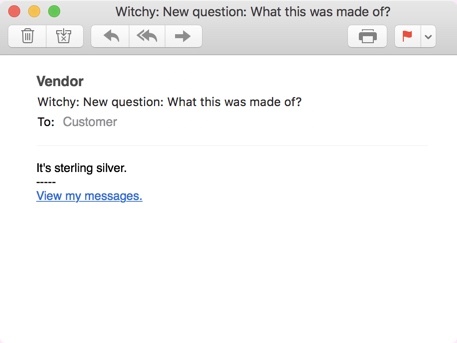 Witchsy does not sell complicated products that require prompt support. They do not need a live chat to keep in touch with customers 24/7. So the message system between vendors and buyers placed in their accounts did the thing. We modified the standard product search on the storefront so that customers would be able to search products not only by product names but also by vendor names. 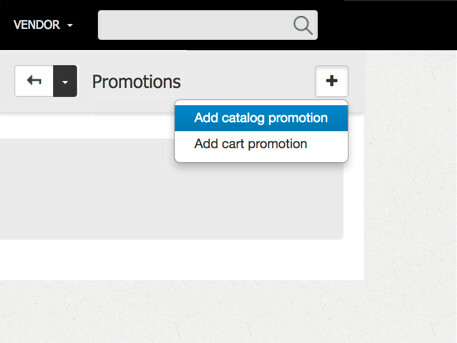 We’ve modified the default promotion functionality. Now a promotion campaign can be started not only by the administrator of the marketplace, but by each and every vendor on his/her own. Less work for admin, more space for sellers. 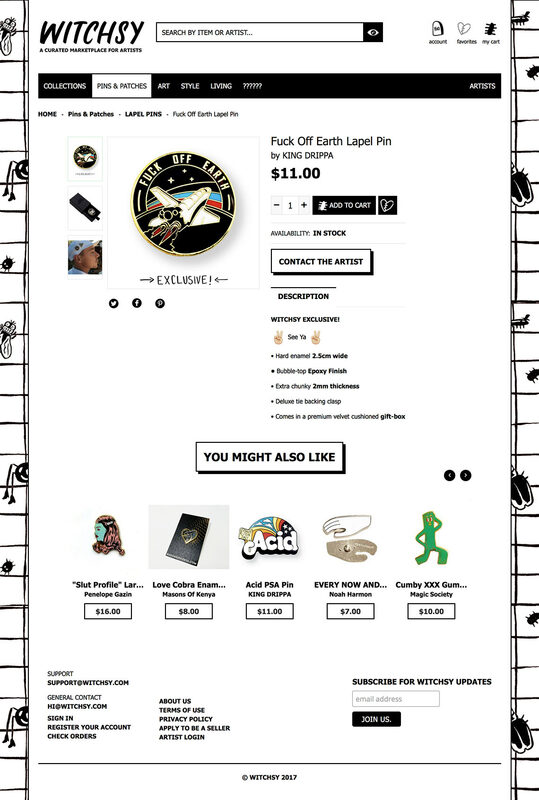 All promotions are displayed on checkout and effect only goods on sale. The customer can see the details and it is very convenient. 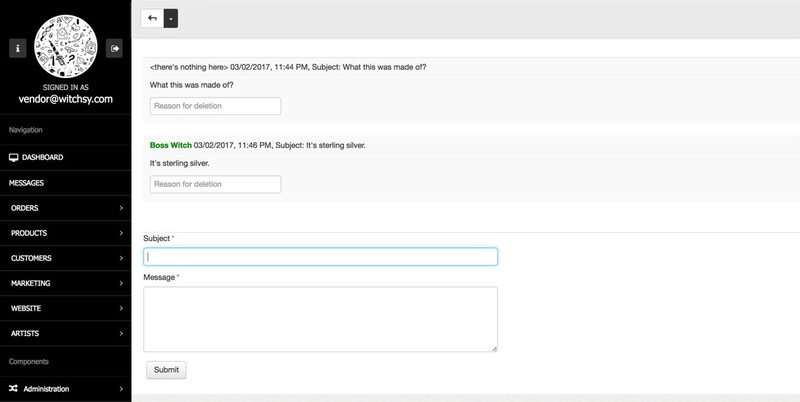 We created a new menu item in the administrator and vendor panels called “Messages”. It enables customers to send messages to vendors from the product page and vendor page. Sent messages are displayed in the customer’s account. The artist also sees the received message in their account. The number of unread messages are displayed as well. Both the vendor and the customer have the ability to sort messages by status or subject. The vendor can reply directly from their account as well as message their customers. This feature gives a store a slight touch of social network which makes a buyer and a seller a little bit closer. One question may have several replies, so, if the buyer replies with a new question, the question will acquire the “Not replied” status. All replies will be displayed in each ticket. 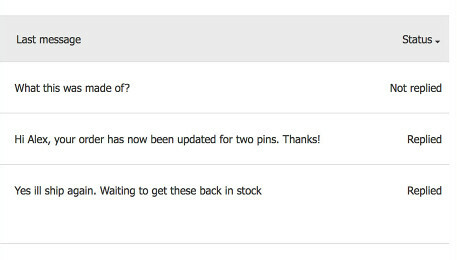 Once the vendor replied to the question, a new email will be sent to the buyer. We created a place uniting both serious business and fun. Staying a part of financial procedures vendors and customers have an opportunity to share their expressions directly to each other. This is the best feedback for future promotions. Normally when we work with developers I have gotten a sense they are not interested or invested in making a project truly succeed. It seems like there's an attitude of paying to get the bare minimum done, but with Simtech it's been COMPLETELY the opposite. You can tell they are really willing to put the work in. Well-known Georgian electronics retailer that develops omni-channel sales.